Every love is unique, why shouldn’t your engagement ring be the same? It can be, and Andrews Jewelers is here to help you create the perfect symbol of your unique love. While there are many designers to choose from, Verragio offers a variety of collections sure to compliment your individual style and taste. Whether it be the Insignia, Parisian, Venetian or Couture Collection, each ring offers exquisite detail unlike any other. Verragio understands the importance of craftsmanship and dedication to quality, presenting only the best in engagement rings. Their exclusive setting technique paired with their original side profile designs Verragio is a leader in the bridal industry. When the time comes to choose your perfect engagement ring, when designing with Verragio, the possibilities are truly endless, like your unique love. Visit the Andrews Jewelers Showroom, located on Transit Road in Williamsville, New York to view the most coveted verragio engagement ring styles. Some of our store favorites include the insignia-7074 which can be made with any shape and size center stone. This gorgeous three stone design features a delicately twisted pave set band with the signature diamond intensive insignia scroll profile. 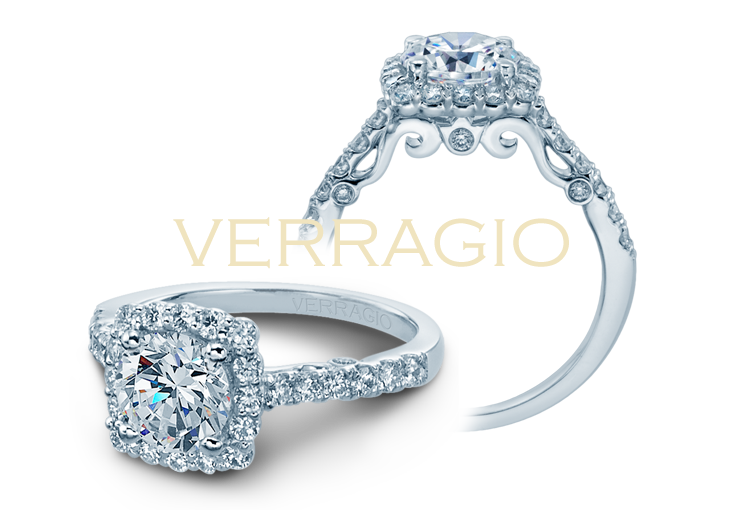 If you’re dreaming of a halo style engagement ring, the Parisian-123 offers a beautiful diamond halo that enhances any shape center stone, while providing a one of a kind vintage inspired shank featuring diamond accented Parisian wraps. A must see and new to the collection is the diamond Riviera profile, available on Venetian and Couture Collection pieces. One of our favorites? The beautiful solitaire style Couture-0458 offering the diamond Riviera profile in rose gold. 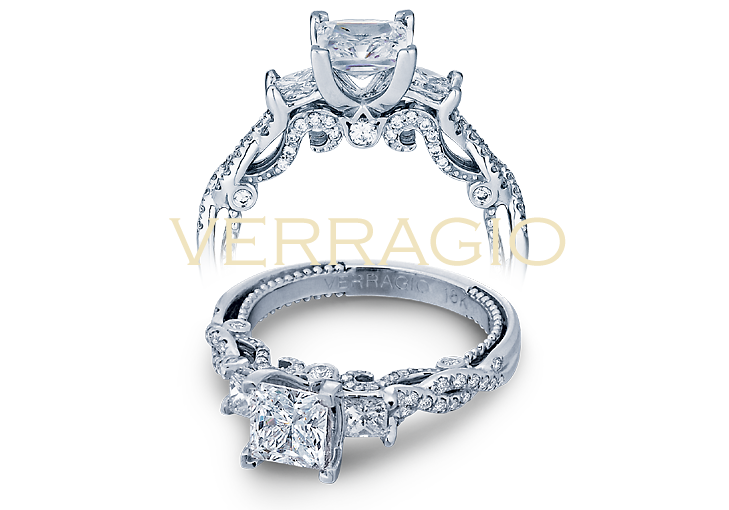 No matter your style, The Verragio collection has a variety of endearing engagement rings, customization for any style. 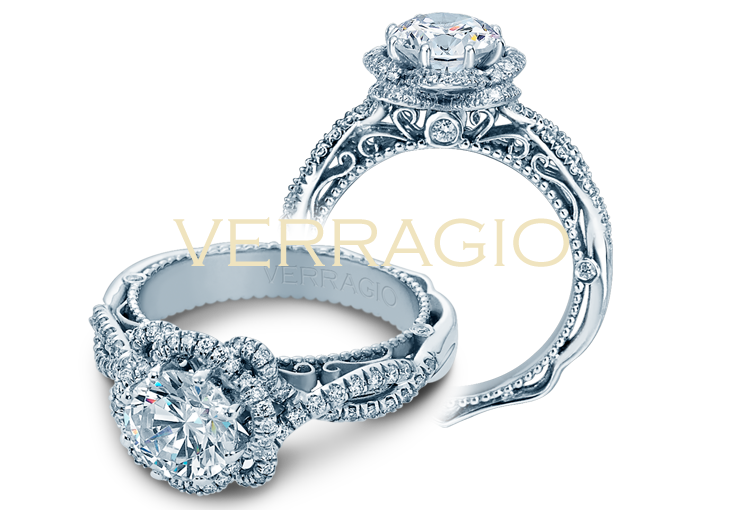 Make your dream ring a reality, visit Andrews Jewelers, or shop online at www.andrewsjewelers.com/verragio. Visit the Andrews Jewelers Showroom, located on Transit Road in Williamsville, New York to view the most coveted Verragio engagement ring styles. Some of our store favorites include the insignia-7074 which can be made with any shape and size center stone. This gorgeous three stone design features a delicately twisted pave set band with the signature diamond intensive insignia scroll profile.